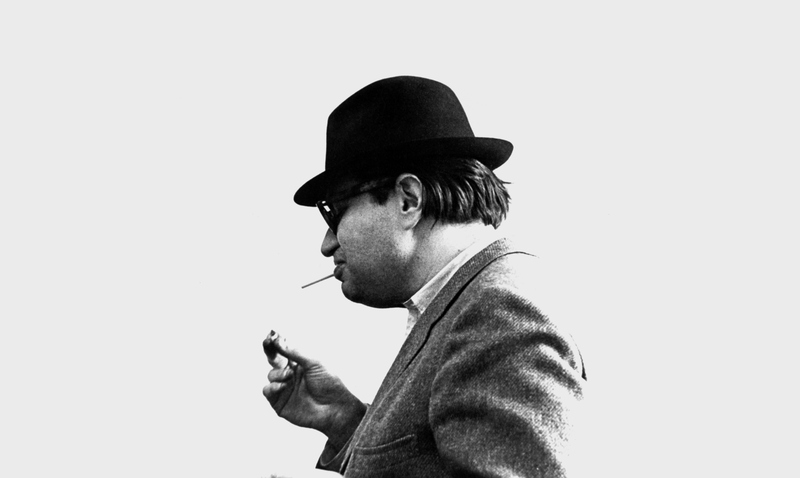 CrossingLines presents Morton Feldman’s Bass Clarinet and Percussion in digital format. Recorded at Sala Mozart of Auditorio de Zaragoza in July 2015, the single is the first digital release of a Feldman recording series produced by Neu Records. The recording, almost spaceless, shows the rawness and the subtlety of the piece, performed in the lowest possible dynamics, as demanded in the score, creating a fragile and almost unreal approach to sound, and respecting the flexible temporality of this baffling work by Morton Feldman. Performed by clarinetist Victor de la Rosa and percussionists Feliu Ribera and Paula Piñero, Bass Clarinet and Percussion was recorded in 3D format (5.4.1), and it’s available in HD digital formats. 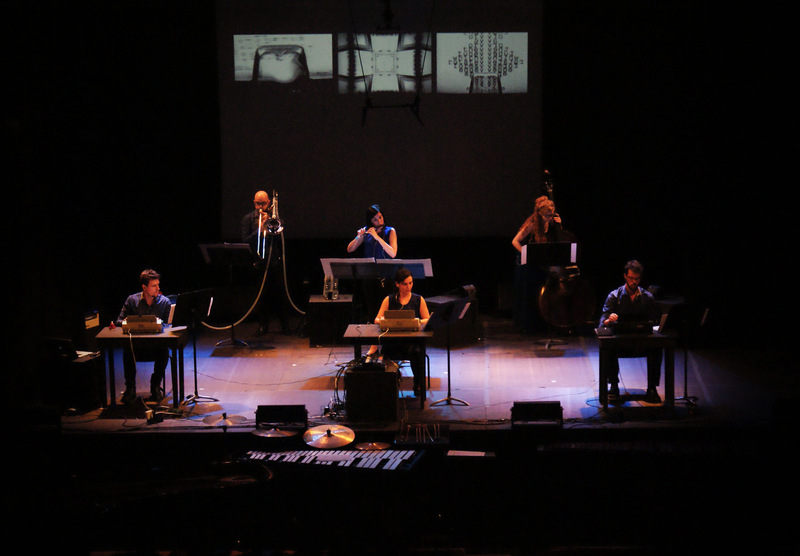 “In this performance by CrossingLines the curious constant switching between an apparent blankness and de-/su-/com-pressed lyricism is kept in an electrifying state of liminality. Nothing sounds random, therefore, suddenly each and every note from the clarinet is rendered significant, becomes linked both to its possibly disjunct neighbours and integrated into the melliflous sympathetic strikes from the percussion. Feldman always tends to sound beguiling, but rarely so ravishing as here.” Read more. “La melodia recurrent del clarinet baix és reelaborada en un teixit de variacions, tènues com boira (…) La versió del present àlbum és diàfana, meticulosa i ben treballada.” Read more. Music Library, University at Buffalo, The State University of New York. 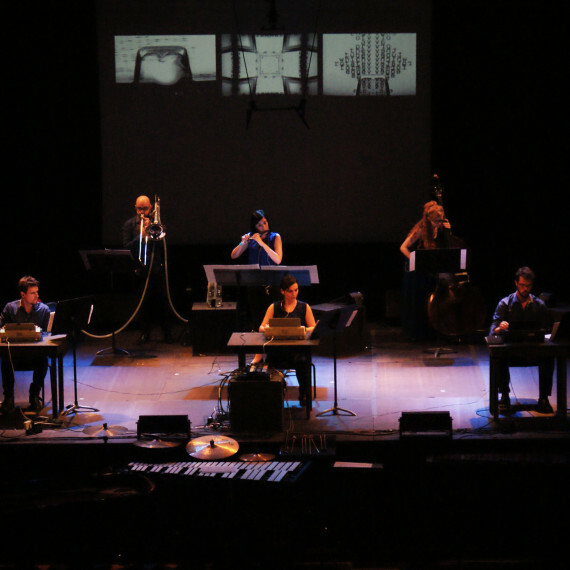 CrossingLines has had, since its inception, a special relationship with the music of Morton Feldman. The group’s repertory generally consists of authors of our generation, principally those born in the 80s, but our recurrent programming of the New York composer’s music is a happy exception. This insistence owes itself, in part, to the fact that he is a composer whom I have been unable to assimilate fully, whether as a listener, performer or programmer. Feldman is strange to listen to, strange to play, and decidedly strange to record. The perplexity that his music produces is one of the reasons I began to programme him with CrossingLines, in the hope that extending this state of uncertainty to my work colleagues would enable me to go deeper into the enigmatic experience of listening to him. Fortunately, both time and work have only increased my puzzlement, so that throwing light on his music, studying it, trying to understand and become more familiar with it, just makes what is obscure more dense and fascinating. This is the context within which we tackled Bass Clarinet and Percussion (1981). Performance decisions and those related to recording were based on the idea of perpetuating, revealing and of never hiding this paradox. Bass Clarinet and Percussion fall into Feldman’s later works which contain a certain kind of asynchronicity between the instruments. In the written work, the bass clarinet is given bars that are different from those of the percussion; and the vertical alignment of each of the parts in the score does not reflect the instruments’ position in time in relation to one another. However -just as in other late works by Feldman, such as String Quartet (1979) or For Philip Guston (1984)– the writing of the parts comes into alignment every now and then. In the case of Bass Clarinet and Percussion, the beginning of the score indicates that for every five systems of each of the parts there are 135 quarter-note values, or, in other words, that the parts are aligned, at least graphically, every five systems. This fact, -apart from its relationship with the formal structure of the whole piece whose explanation would exceed the limits of this introduction- poses an interesting paradox: on one hand the writing appears to invite performers not to be overly concerned with synchronizing their parts so that the inevitable, minimal divergences of tempo generate sophisticated variable relationships between the instruments’ different patterns or motifs; on the other hand, every five systems the musicians have a reference -that has, furthermore, been made explicit in the score- which offers, at the very least, the possibility of taking it into account. CrossingLines’ approach to the work aims to reflect this paradox: on one hand we wish to be aware of the relationships between instruments, of where they would coincide if they were read in an exact way -at many more points, in fact, than every five systems- and to try to know each one of the parts. So as to subsequently… forget it all. Becoming familiar with the piece, trying to dissect it as far as we can, only to recognize afterwards that not only is it impossible to do so but also, probably, a mistake, and that we cannot delimit the piece without losing part of its essence. 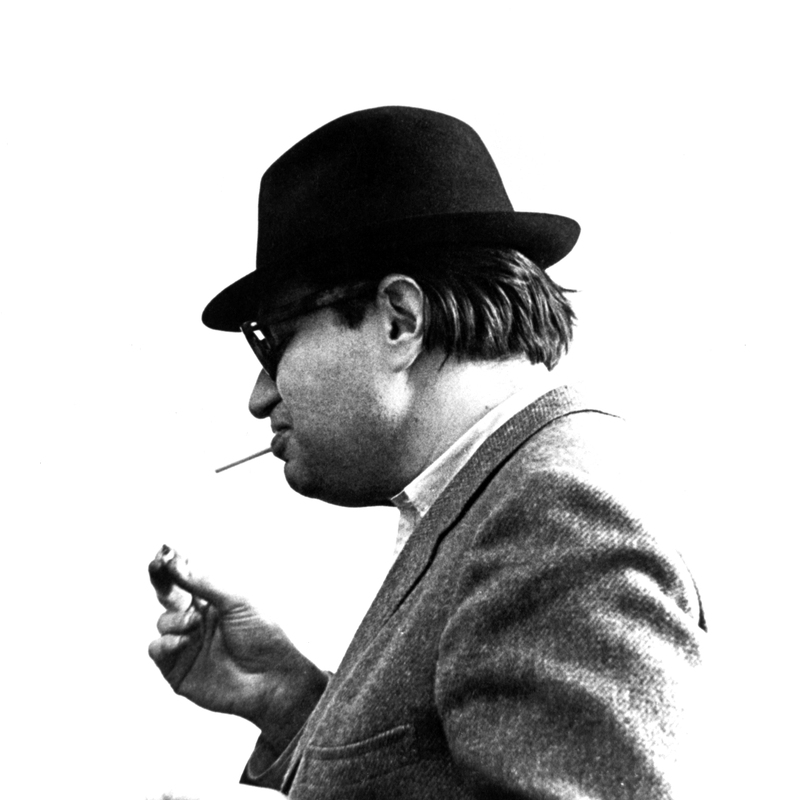 One might suppose, erroneously, that the synchronicity or absence of causality and musical directionality in Feldman’s work -aspects, also, of Bass Clarinet and Percussion– are an invitation to carelessness when it comes to a methodical approach or to reflection on these parameters; however, they demand the contrary. If it is true that one’s conclusion about the work is none other than a certain perplexity, the resulting performance demands that we pass through the whole process in order to truly appreciate this ambiguity. It is not a question of ignoring certain parameters but of overcoming them. Technical decisions taken in the recording session reflect the same paradox. CrossingLines and Neu Records have aimed to create a raw version of the piece that does not hide its disconcerting aspects. It is no coincidence that the majority of available recordings of this piece were made with the microphones positioned at a certain distance from the instruments, resulting in abundant reverberation, and played, besides, with a non-extreme dynamic. In our case we have deliberately interpreted the piece using an inhumanly low dynamic -which pushes the sharp register of the bass clarinet to its limits- with a close raw sound that does not mask Feldman’s simplicity or the starkness of his writing, and where even the most minimal noises coexist with the birth of the sound. CrossingLines has aimed to be faithful to what attracts us in Feldman’s music; to be able to deceive ourselves momentarily and let ourselves believe that we can go ever deeper, can work on and burnish the music to the maximum degree, as an excuse to spend time with it and absorb it little by little, but without domesticating its fascination, nor renouncing its delicious ability to cause perplexity.